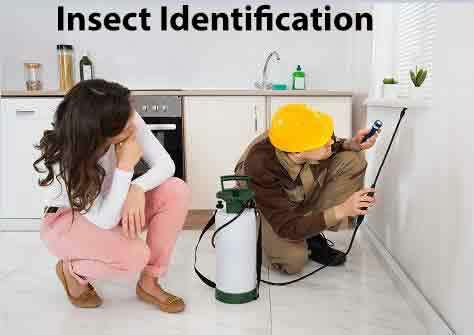 We offer Insect Identification to help identify a pest in your home or business. Once the Pest Analysis is completed we will create a customized treatment plan to eliminate the pest. We specialize in Bug Identifications and eliminations. Give Us A Call Today. 1-844-305-8999. Ant identification is relatively simple due to their three distinct body regions: head, thorax and abdomen, as well as antennae. ... Small or large ants and brown or black ants are common nicknames for different species. If you have an Ant infestation, Give Us A Call Today. Our Ant Pest Exterminator will eliminate these pests. 1-844-305-8999. Adult bed bugs, in general, are: about the size of an apple seed (5-7 mm or 3/16 - 1/4 inch long); long and brown, with a flat, oval-shaped body (if not fed recently); balloon-like, reddish-brown, and more elongated (if fed recently); If you notice Rusty or reddish stains on bed sheets or mattresses its most likely caused by bed bugs being crushed. If you notice signs of Bed Bugs, our Pest Exterminator will perform a provide precise Pest Analysis and correctly identify the pest. German roaches are a tan or light brown color. While they have wings, these roaches do not fly. German cockroaches, like brown-banded roaches, are differentiated from other species by their small size. They also have dark, parallel lines running from behind their heads to their wings. The American Cockroach has light colored edges to body; wings appear longer than the body and they are also known as Water Bugs. Our Pest Control Service Exterminators are experts in combating all kinds of cockroaches.